It is often that the little details make a big difference when it comes to enhancing your exterior decor. 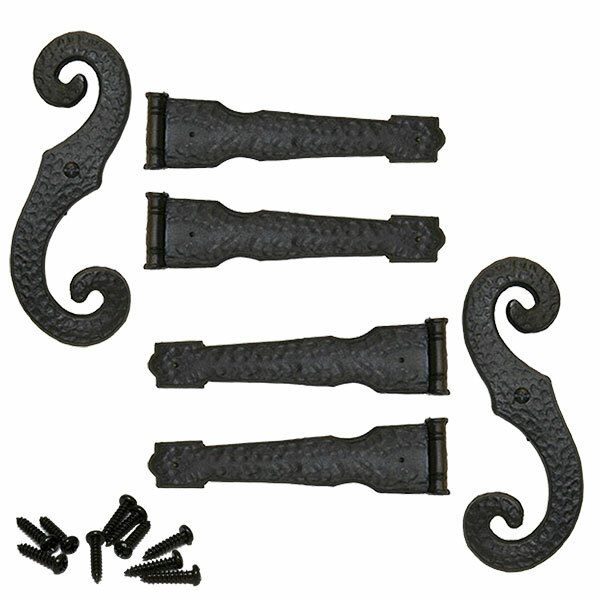 Our selection of vinyl siding accessories includes decorative hinges in black. They give your shutters a unique custom appearance and traditional charm. Our S-hook decorative hinges are durably crafted. They enhance your shutters, but they also bring you years of use and enjoyment.